Speaker of the Iranian Shura Council Ali Larijani said that Iran has always emphasized on the political solution to the crisis in Syria and the crises in the region. 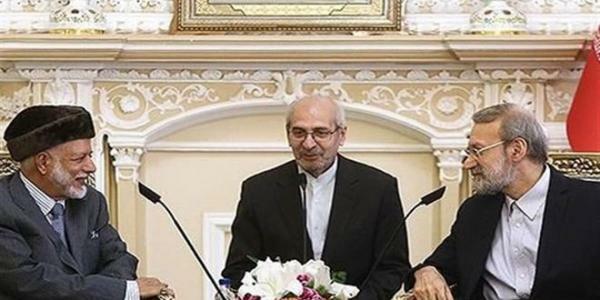 Larijani’s remarks came during a meeting with Omani Minister of Foreign Affairs Yusuf bin Alawi in Tehran on Sunday. He said that the Iranian consultative presence in Syria and Iraq came upon the request of the governments of the two countries to help them facing terrorism. For his part, bin Alawi reiterated that settling the pending issues among the countries of the region should be through talks, calling for cooperation to eradicate terrorism which constitutes a threat to the security and stability of the region.